The North West corner of England has always played a considerable role in the development of the Collie, with its towns, districts and villages immortalised in the ancestry of every Collie. From the earliest years the area was well served by specialist breed societies with the Northern, Manchester and Liverpool Collie Clubs in particular organising well attended shows. This situation changing during the slump in interest between the two world wars, although several prominent kennels remained based in the region. 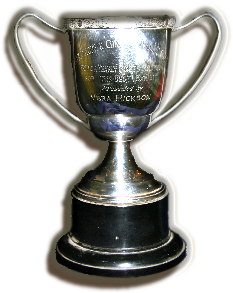 The Lancashire and Cheshire Collie Club, whose founding members included the late Mrs Ada Bishop, well known daughter of Mr W. W. Stansfield ‘Laund’, Mr A Clough, Mrs Fishpool ‘Ellington’, Mr Mycroft ‘Mywicks’ and Mrs Dot Mylett ‘Dorgano’, was eventually established late in 1949, with Mr V. E. Hanson in the secretarial chair. It has always been club policy to draw its committee from members resident within its base region, with those having served over the years representing many of the breed’s most prominent and influential kennels. A study of past records showing an enviable record of committee stability, which is particularly evident when viewing the lists of officers, in 1963 the husband and wife team of Peter and Margaret Turner ‘Hillbold’ accepted the demanding positions of Secretary and Treasurer, holding them for twenty-two years until 1985, when they handed their responsibilities to Mr Ian Brazier ‘Kybrance’ who resigned in 2011, and Mrs M. Scholefield, Mr Ray Wilkinson was appointed to the post of Secretary in 2011. The Lancashire and Cheshire Collie Club were one of the earliest breed clubs to see the need for education, holding a series of evening seminars in the early 1980s, these dedicated to extending the understanding and knowledge of exhibitors. Today it prefers to concentrate its efforts on promoting the exhibition of Collies limiting its involvement to an open show in addition to the annual Championship Show. Serving an area that was then well endowed with General Championship Show Societies, the Kennel Club were show in granting Championship status to the Lancashire and Cheshire Collie Club, but after a 23 year wait the club held its first such show in early May 1972 when Mr J. R. Fendley ‘Ralvera’ handed the tickets to Lynway Some Loving and Laund Lara, with Some Loving annexing Best of Breed to becoming the first recipient of the ‘Dot Mylett Memorial Trophy’ presented to the Best In Show. So started an annual event which, for a time, moved around the calendar but is now established in its original early May date. 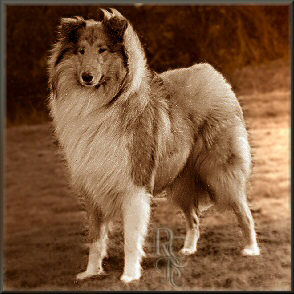 Right from the beginning the Lancashire and Cheshire Collie Club encouraged and supported both Rough and Smooth enthusiast equally, which was duly rewarded with in 1974 when tickets for Smooth Collies were added. Left - Dog CC and Best in Show: Lynway Some Loving winning his only Challenge Certificate from Puppy dog on the day. To promote and encourage the breeding and exhibiting of pure bred rough and smooth collies in accordance with the relevant Breed Standards as issued by the Kennel Club. To promote, protect and advance the interests of these breeds and of the members of the club, within Kennel Club rules. Post Christmas Open Show — for Rough and Smooth Collies, which includes the presentation of the Bririch Points Trophy to the member whose Collie had earned the highest number of points during the previous year, giving exhibitors the opportunity to chase away their post Christmas and New Year blues in a relaxed atmosphere and amongst friends with a similar interest. The 2015 show will be held at Newchurch Parish Hall, Common Lane, Culcheth, Nr Warrington, WA3 4EH, on Sunday 18th January 2015. Annual General Meeting — currently held at the "Horwich Conservative Club, Chorley Old Road, Horwich. BL6 7BR. MAY - The early Summer Championship Show for Rough and Smooth Collies will for 2012 only be restricted to a Championship Show for Smooth Collies with an Open Show for Rough Collies. with a separate judge for each breed. As so often this show will coincide with the May Day Bank Holiday weekend and will be held at the Sutton Leisure Centre, Elton Head Rd, St. Helens, Merseyside, WA9 5AU. The Lancashire and Cheshire Collie Club is managed by five officers assisted by a Committee of seventeen members. In line with Kennel Club directives the Lancashire and Cheshire Collie Club has appointed Mr W Rogerson as its Health Co-ordinator. Annually the Lancashire and Cheshire Collie Club’s committee elect two delegates, usually the Secretary plus one other Committee Member, to the Rough Collie Breed Council, who have yet to be announced.